On the final leg of our journey before heading home to Singapore, we stopped by Chengdu for 2 days. 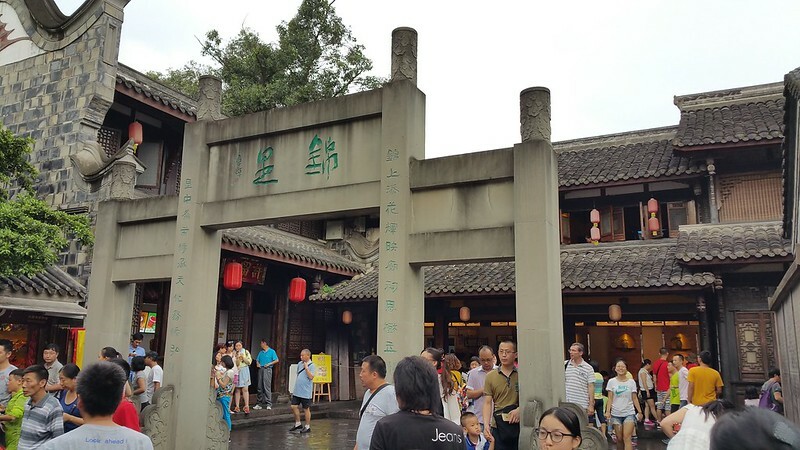 One popular tourist attraction is JinLi 锦里, where the area is built with olden time architecture much like Wuzhen 乌镇. However, Jinli is better managed and more interesting. There are plenty of shops selling handicraft, souvenirs, snacks and what not. A great place to shop for local stuff. In another section, a wide selection of food that thronged by hungry visitors, which I barely tried due to the crowd. 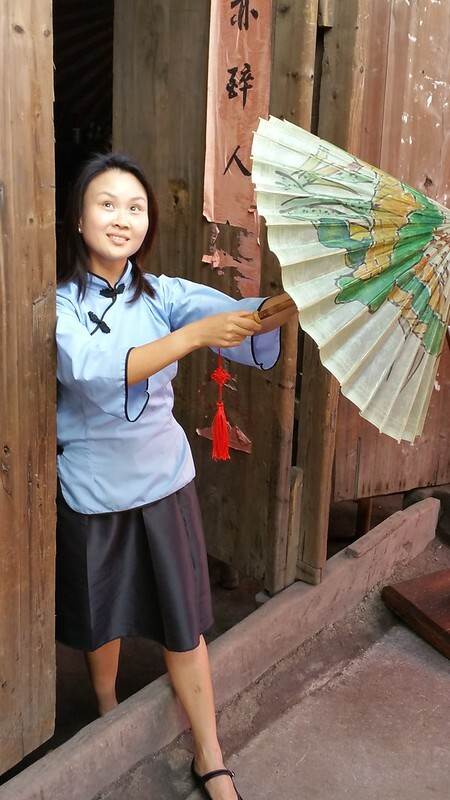 Our last photo session is in a 100 years old teahouse, situated in another small town 30 minutes from Chengdu. Arriving there before dawn, I had no idea what to expect of this place, which we were told to spend half a day at. 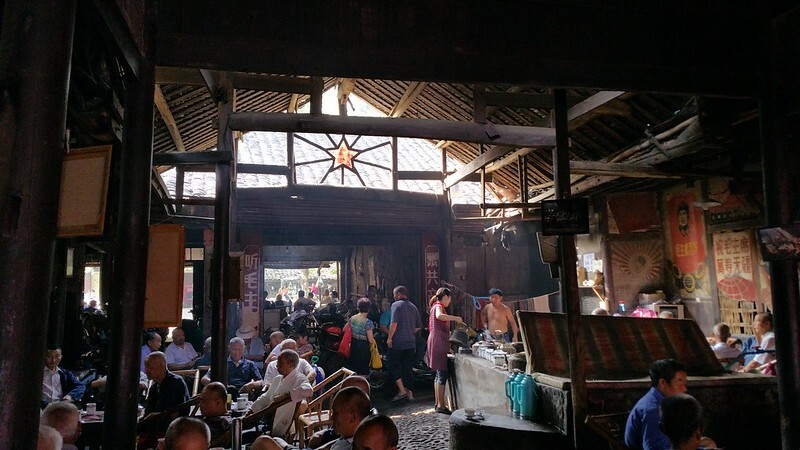 I can barely sit at Starbucks for more than 2 hours, let alone an old tea house. As I stumble around the teahouse in the dim lights to take my first couple shots, I slowly came to realize the allure of this teahouse. 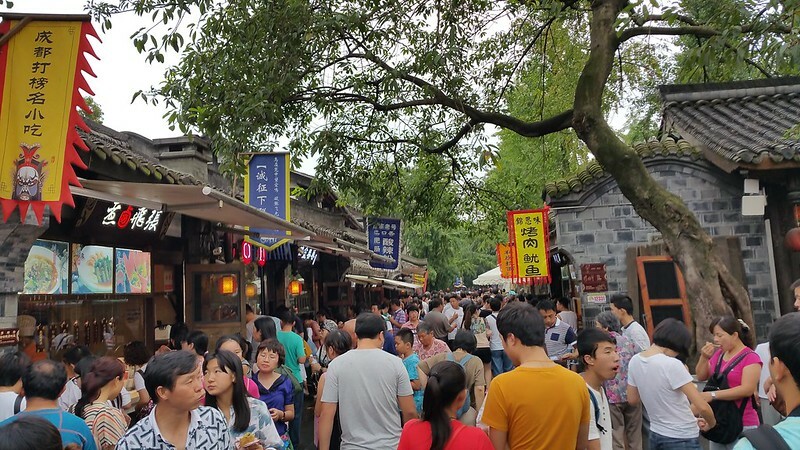 It is a time frozen place that had preserved the essense of Chinese culture, people and architecture all in one small place of less than 200 square meter. It is a photographer’s treasure trove. The die hard patrons of the teahouse are nonchalant to a handful of photographers all vying to take images of them. 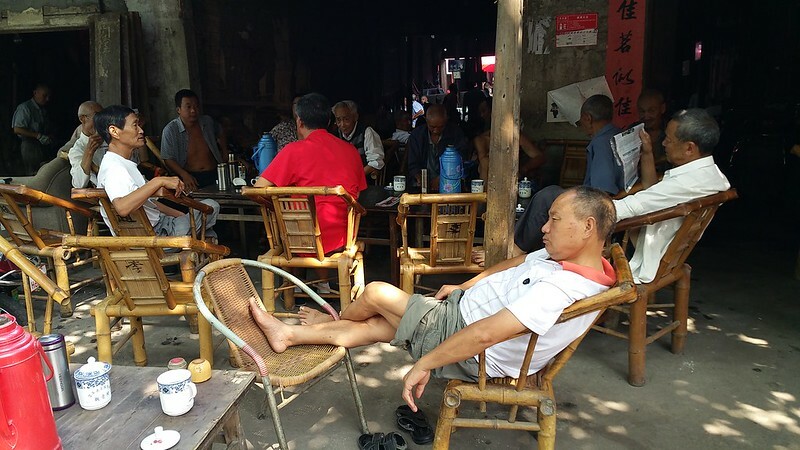 Majority of the regulars are old retirees, who gathers on the daily basis to chat, smoke, play cards and drink tea with their comrades. While some photographers were discreet, stalking in the shadows in hope to get a candid shots. A few brazen shooters, go to an arms length of the old men for portrait shots, which I deem as an invasion of personal space. The owner of the establishment has been running the place for over 20 years. He would happily teach us where to get good images, expansive knowledge he had gathered from getting in touch with photographers around China. Some suggestions were wildly difficult, while others were good pointers for different angles and composition. By 10am, after taking hundred of shots, a friend’s camera battery went dead. Upon friendly offer from the boss, she agreed to pose for us as models. Even the clothing were available! That pushed the photographers to go on shooting for another hour plus. Before noon, everyone was having shooting fatigue, fingers shaking and arms aching. It was the first time I had shot non-stop for extended time period, constantly inspired and intrigued. Tired but pleased with the opportunity to capture such challenging and intimate images, I have over thousands to shift through when I get home.